If you were listening intently to the chancellor’s budget this year, then you may have heard an announcement about something called a ‘Lifetime ISA’. So, what exactly is this new Lifetime ISA and what are the potential benefits? Here we take a closer look at this new ISA to see what is being offered. The Lifetime ISA is a new kind of ISA recently announced by the government which will be available from April 2017 to those who are under the age of 40. When you set up a Lifetime ISA, you will be able to save up to £4000 a year and at the end of the tax year the government will then add a 25% bonus to the contributions that you have made. This means that if you save the full £4000 in a given tax year, you will then receive a £1000 bonus from the government. As we’ve mentioned already, the Lifetime ISA is to be made available to those who are under the age of 40. Other age restrictions which apply to the Lifetime ISA are that you will have to be at least 18 years old to open a Lifetime ISA account, and you will only be able to receive the 25% annual bonus up to the age of 50. This all means that you could potentially gain a total bonus from the government of £32,000 if you were to save the full £4000 per year for 32 years. You will also be able to withdraw all of your savings tax-free once you have hit the ripe old age of 60. The 25% annual bonus from the government effectively gives you an annual interest rate of 25% on your savings when you place them into a Lifetime ISA, and this doesn’t even take into account any further interest or investment growth available from your chosen ISA account. I don’t know about you but that seems like a pretty healthy return to me, especially given the current interest rates on offer in the existing ISA market. Who could the Lifetime ISA benefit? The Lifetime ISA could prove to be beneficial for many people, but early indications show that it may be very beneficial for those looking to save for their retirement in a tax efficient way – especially for the self employed who cannot benefit from any workplace pension schemes. It could also be beneficial for those looking to help out their children or grandchildren in a tax efficient way, as it could open up certain opportunities in this regard. Finally, the Lifetime ISA has been designed to help first time buyers who are looking to buy house worth £450,000 or less. Will there be a Lifetime Stocks and Shares ISA? Yes, you will be able to place your money into a Cash ISA or a Stocks and Shares ISA. It is worth noting that there is a certain degree of risk to your capital when you invest in a Stocks and Shares ISA, however, so be sure that you are happy with these risks before making your choice. So, there we have a simple explanation of what the new Lifetime ISA is and what the potential benefits might be to you personally. Of course, there will likely be a lot more information on offer as to the exact details and benefits of the scheme closer to the rollout, but hopefully this post will have given you a good idea of what you can expect from the recently announced Lifetime ISA. 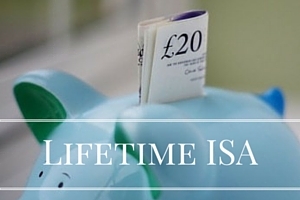 Does the Lifetime ISA sound good to you? One Response to What is the Lifetime ISA? Wow – that sounds like a great deal. Kudos to the Canadian government for encouraging its citizens to save for the future. I wish the US government would take a hint and follow suit!